Might a future Dublin High School graduate be responsible for a vision related technology breakthrough? In the fast moving world, anything is possible. However, one would be wise to follow the future of a current Gael. Meet Mr. Kumaran Ratnam. We posted a global story on the recently concluded 3rd Annual Lawrence Livermore National Laboratory (LLNL) Alameda County Science & Engineering Fair. The Fair and competition was open to all middle and high school students in Alameda County. 640 students elected to accept the challenge and produce an exhibit across multiple categories. At stake were various awards including 1st through 3rd place, Best in Category, State Qualifier and Grand Prize. In the pinnacle group there were only four awardees. Kumaran captured one of them – as a ninth grader. As it turned out, Mr. Ratnam and his classmates were going to participate as it was an element of his Biology with Research class taught by Janet Kaehms. OneDublin.org recently sat down with both of them as they shared the journey to a Grand Prize. Kumaran and his family transplanted to Dublin during the summer of 2013. His parents are both Engineers – Dad works for Cisco and Mom is at Oracle. 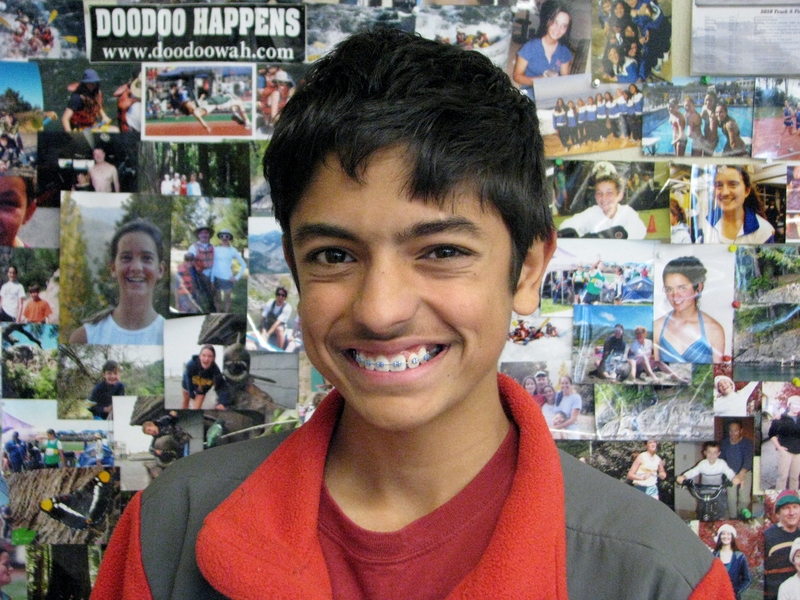 He has a younger sister, Jayani, who is an 8th grader at Fallon Middle School. This was a rather significant move for the Ratnam’s as they relocated from Acton, Massachusetts. As we learned, this was not the first time that Ratnam has succeeded in a science fair. 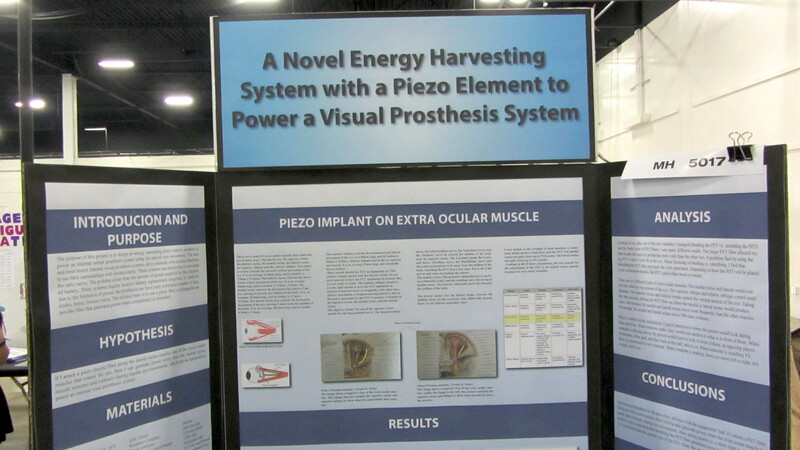 Project ID: MH 5017 – A Novel Energy Harvesting System with a Piezo Element to Power a Visual Prosthesis. OneDublin.org: The subject of your project is fascinating. What specifically inspired you to research this subject? OneDublin.org: Before you even started, how much did you know about the Piezo electric solution? Where did your online and offline research take you? OneDublin.org: Please share with us what it meant to receive one of only four Grand Prizes from the Science & Engineering Fair. OneDublin.org: While you are currently a freshman, certainly you have thought about the future. What your academic goals – both at DHS and beyond? What are you envisioning as possible career paths? OneDublin.org: The school year is now about two thirds complete. Please describe your first year experience at Dublin High. Has it met your expectations and did anything surprise you? The Dublin Unified School District was highly represented at the Fair. In fact, there were 112 projects presented between Dublin High School and Wells and Fallon Middle Schools. But, a significant number of these exhibits were generated out Biology with Research. 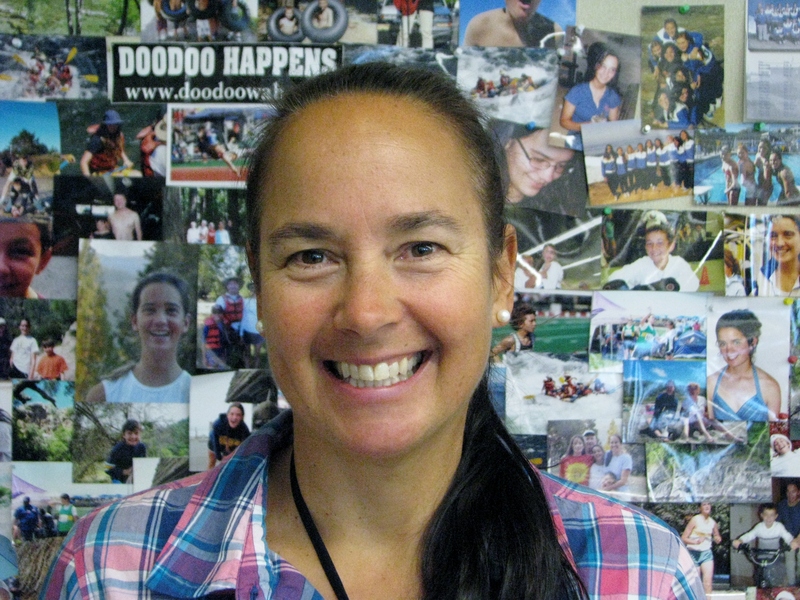 We invited Kumaran’s science teacher, Janet Kaehms, to share her thoughts. OneDublin.org: The research projects were a required element of the Biology with Research class. Please assess the quality and the variety of the projects that your students produced. Janet Kaehms: “The two main goals for the research projects are logical thinking/assessment of variables and design, and, technical reading/writing. “Assessment of variables and lab design is easier for the students when someone else is writing the lab. When it’s their own design they struggle to recognize and limit the variables in a logical way. It’s a process, and, the extended amount of time we spend on the science fair allows for many revisions to be done on the projects. “For many of my students this is the first time they have been introduced to the concept that technical writing is very different from narrative or descriptive writing. Technical reading/writing demands a much higher attention to detail. That is challenging for many of my students. I work with a wide variety of skill levels in my class and my goal is improvement. I use a rubric that is very rigorous so students are aware of the goals for their writing. We do peer-evaluations before turning in our work and practice with several inquiry based labs before we write our final science fair projects. OneDublin.org: Based upon the feedback from your students, what were some of the challenges that they faced? OneDublin.org: While we are sure that you’re proud of all of your students, Kamaran’s accomplishment was superior. What do you envision for him in the next three years at Dublin High and beyond?